Overall size: 38.5 x 56 cm. Image size: 32 x 34 cm. 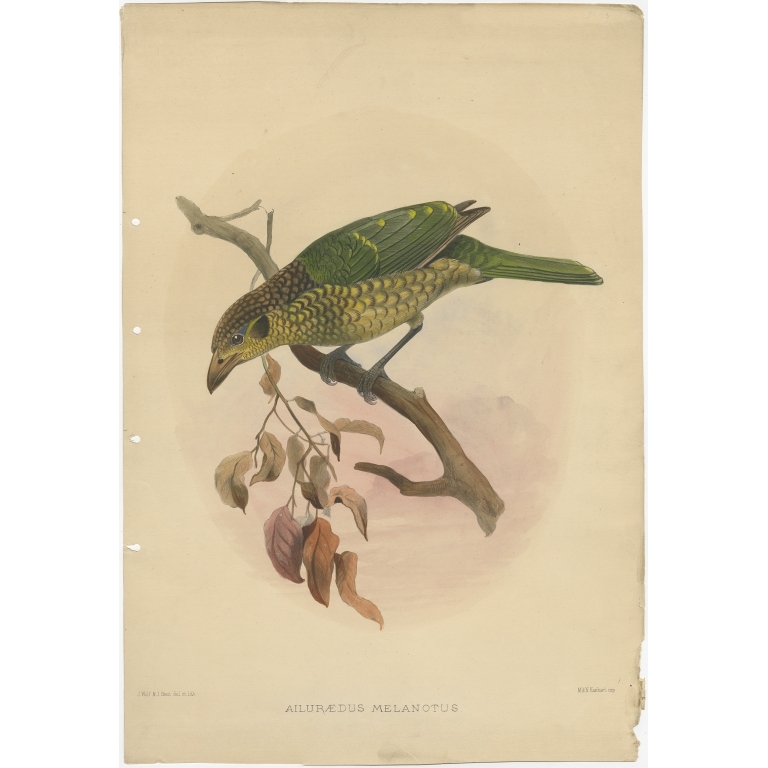 Description: Antique bird print titled 'Ailuraedus Melanotus'. This print depcits the Black-Cheek Cat Bird. Originates from 'A Monograph of the Paradiseidae, or Birds of Paradise'. Artists and Engravers: Lithographed plate by J.Smith after J. Wolf. 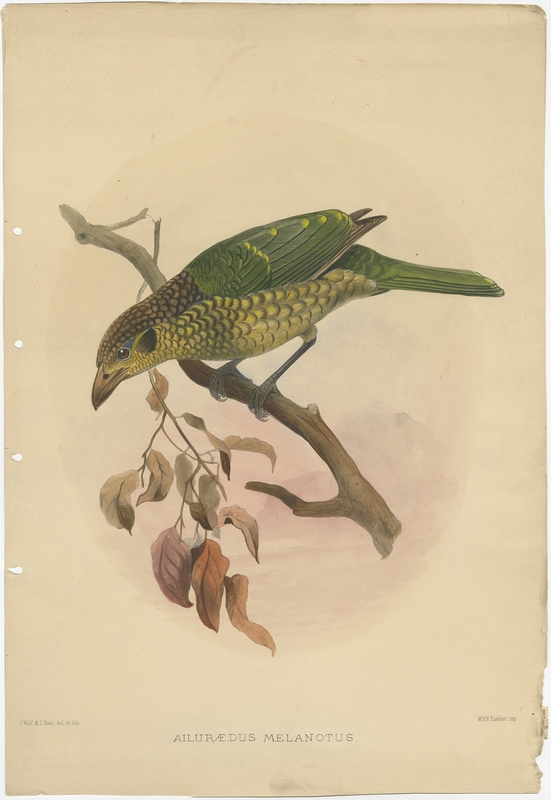 Elliot's great work on the Birds of Paradise, one of the most admired bird prints ever produced.